Disc golf offers park visitors a fun, healthy way to exercise with friends and family. Disc golf equipment is surprisingly inexpensive to install and maintain. Disc golf can highlight the features of your property and utilize areas that can’t support other activities. 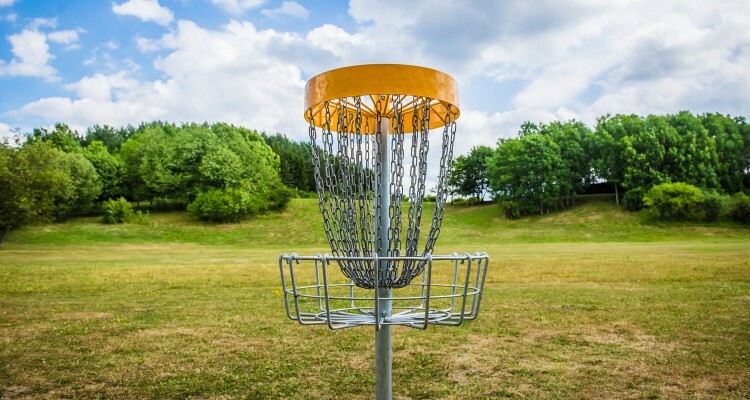 Disc golf can benefit you and your area in many ways. You could be responsible for introducing someone to a life long disc golf habit. It really is addictive and fun. We added an 18-hole disc golf course to Wall Doxey State Park in 1997. The sport was new, low maintenance, and offered a low cost activity for park visitors. Within the first year, our day use visitation, camping and cabin rental increased significantly. Through the sale of Innova discs and accessories alone, we have increased our revenue by $15,000 per year. We now have seniors, men, women, and families who play. Disc golf is an unbelievable success story for Wall Doxey State Park. Over 6000 public and private disc golf courses are now available for play around the world! In 1995, Innova created the DISCatcher® Disc Golf Target. Since then, disc golf course growth has increased dramatically. Few sports can match the positive, steady growth that disc golf has enjoyed over the last three decades. The growth continues with 300+ new disc golf courses each year.